What do you do if you’re craving some something sweet and are looking for a bakery near you? Most probably, like 46% other Google queries, you will conduct a local search. Of course, typing in “popular and reasonable bakeries” wouldn’t get you the answer you need. Because, the shop that you find may be the best, but it will be of no use to you if it is on the opposite end of the globe from your location. So, it makes sense to search “popular and reasonable bakeries near me”, or you can enter your location after your initial query. If you reverse this situation and be the baker who is being searched, you will understand the significance of local search engine optimization. HubSpot reveals that 97% people search online when they are looking for a local business. Thus, as a small business, your chances of being found on the web are higher if you employ Local SEO. In simple words, as a business owner, local optimization is your pass to an increased number of customers and a wider target audience. All this equals an increased revenue and profit, which is a dream come true for business owners. How can local SEO help your small business? Research speaks in favor of the wonders that location-based browser optimization can reap for your business. It confirms that 97% of the folks learned about a local company via the internet in 2017. This is, of course, good news for your small venture that covers a few nearby locations. That’s not all though. 50% of the customers who conduct a local search on their mobile visit the store within a day. The same rings true for 34% of the local searches conducted via a tablet or desktop. This means that local SEO helps you achieve both step one and step two of doing business. To recap, it makes your venture visible and boosts conversion as well. When a local search is conducted, local businesses pop up on the first search engine results page (SERPs). A map also shows the location. Hence, a good regional SEO strategy will get you to the top of the search page, shining more visibility light on your endeavor. That said, it is vital to note that 75% of the individuals don’t go past the first SERP. 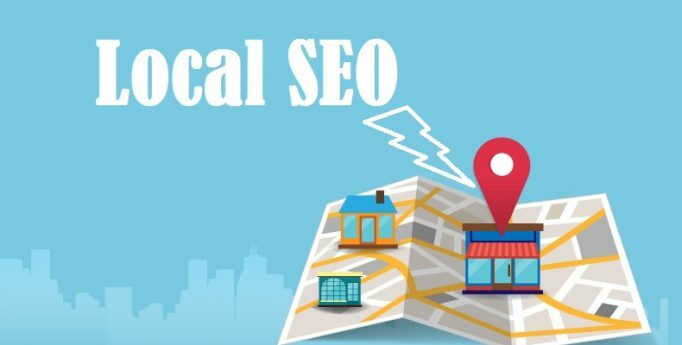 So, you need a good local SEO strategy to dig a top position for your business. Once you get a good spot on the search engine’s page, more customers will come your way. In addition to this magic effect of increased visibility, a targeted audience will find your business. There’s no sense of attracting people with a sweet-tooth if your business is centered around food for weight watchers. Or, it is useless to attract people in Houston when your business caters to the needs of only New Yorkers. In the case of local search engine optimization, people type in a specific, location-based keyword, which yields your business on the results page to them. Such an audience is more targeted and translates into better profitability for you. As discussed, only a small figure of people go to the second results page on their browser. Moreover, a 2014 study showed that more than 67% clicks on the first search engine page go to the top five listings. This means that you need to hang around at the top. The good thing about local SEO is that it achieves this for you. It ranks your business for terms that have less competition. This means that very few businesses attempt to rank for local keywords. This swells your chance of higher rankings. When customers see your ranking at the top of the search engine’s page, it improves your company’s impression in their eyes. As a venture meeting the demands of a few locations, you already have a community standing in the offline sphere. Local SEO, however, fosters your presence online so that you develop a strong reputation. Not to mention, people trust businesses that rank better. To summarize, you end up gaining more trust with better repo among the locality in which your business is based. Essentially, the number of searches conducted via smartphones has officially overtaken the desktop searches. So, a large part of your audience comes from mobile users. The Search Engine Land also outlines that 56% of these searches have a local intent. The best part is that 78% of the local mobile searches culminate in an offline purchase. Another more recent study says that 80% of these searches lead to a purchase. As a location-based small venture owner, this is a sizeable chunk of customers to miss. Therefore, considering local optimization is a crucial matter for you. Lastly, the return on investment in local browser optimization is fantastic. The fact of the matter is that several markers of SEO can be easily tracked and measured. You can also monitor the increased traffic hurtling your way, the conversions, and so on. Besides, a 2015 poll showed that 76% of the marketing agencies in the US and 73% of the in-house marketers agreed that SEO reaped good ROI. Therefore, considering local SEO means that you aren’t going to be investing in a dark, immeasurable thing. Instead, you will be putting your money where you can reap substantial results. 72% of the people say that searching local companies on Google is their foremost option when it comes to looking for them. At the same time, search engines channel a significant number of people to your business. It only adds up to the need for paying attention to local SEO. Not only does it drive more people your way but also boosts your visibility, and repo as well as enhances your conversions.